In our previous blog we discussed a key mindset change required in visionary leaders to pursue big visions. 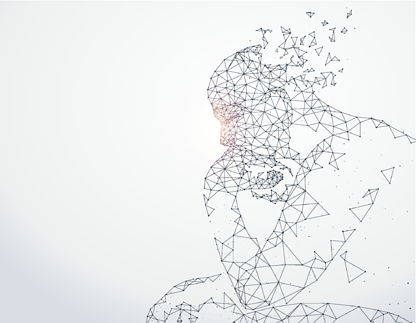 In this blog, we’ll discuss the four key areas that visionary leaders must address to identify the breakthroughs required to achieve their big visions. Achieving breakthrough results requires transformation. 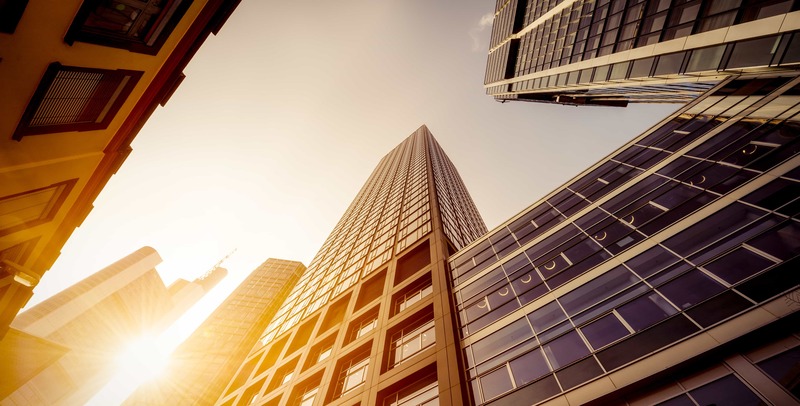 Once you have established a truly compelling vision, you will need to identify the areas of your organization that must transform to “break through” current ways of operating or current performance standards to achieve that vision. We are not talking about incremental improvements. Those will only provide you incremental advancement to your vision. A truly compelling vision, which is a significant stretch beyond your organization’s current comfort zone of performance, requires transformation that delivers real breakthroughs. “Mindset is causative,” meaning, your mindset determines how you interpret information, the decisions you make, the actions you take and the style in which you take them, and ultimately, the results you achieve. Because mindset is the foundation of action and outcome, achieving breakthrough results usually requires a transformation of mindset. This transformation enables new possibilities as expanded perspectives fuel greater courage for action, creativity, and innovation. Required shifts in mindset may include up-leveling beliefs about your own capabilities, or that of your team and organization. It may be required to unleash new perspectives about product innovation, business models, or customer solutions. New beliefs about people can generate greater trust levels, collaboration, and support that deliver breakthroughs in team performance, empowerment, and accountability. A transformation of mindset can change and improve everything. Mindset (and mindfulness) is becoming a “new thing” in executive leadership. That’s the good news. But talking about the need to transform mindset is one thing. Knowing how to do it is yet another. We’ll discuss that in future blogs. Another area where breakthroughs in individuals – both leaders and the workforce – will need to occur is in behaviors and skills. What people do and how they do it may need significant transformation. Skillsets may need to be upgraded, requiring significant training. You might need to reorganize teams, roles, responsibilities, and work flows. Personal change may be required to shift behaviors both in leaders and the workforce away from command and control, dis-empowerment and lack of initiative. You may need people to develop communication skills; with better listening, more truth-telling, more honesty, and more transparency. Improvements in relational skills such as providing support, working together collaboratively, coaching, and team-based problem solving may be required. 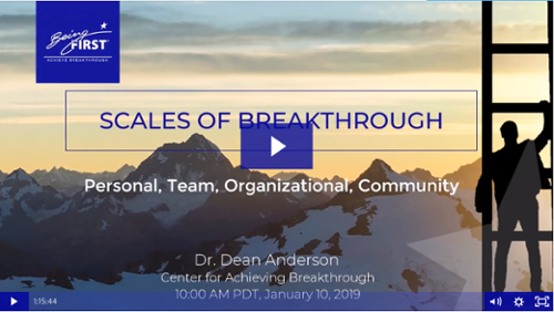 What behavior changes or skill improvements do you need in your organization to achieve breakthrough results? In radical transformation, culture always needs to transform. Culture is to the organization as mindset is to the individual. It is the organization’s way of being, working, and relating. Culture generates the collective norm of how people are with each other, how they work together, and how they relate. Shifts may need to occur in what your organizational culture accepts as valuable and not valuable, what is rewarded and not rewarded. You may need to examine the level of passion, aspiration, and hope in the culture. What is the expectation around performance and accountability? All the current cultural norms in the organization need to be looked at and assessed for where breakthrough is needed to deliver stellar performance. Transforming culture is extremely difficult, but not impossible. Transforming culture begins with identifying – honestly – the culture you currently have and the culture you need. 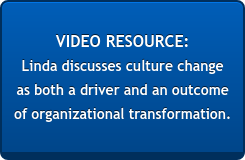 In other blogs, we will speak more about how best to achieve culture transformation. The fourth area that needs to be addressed is the organization itself. This includes your organization’s business strategy, business model, and how you bring products and service to market. 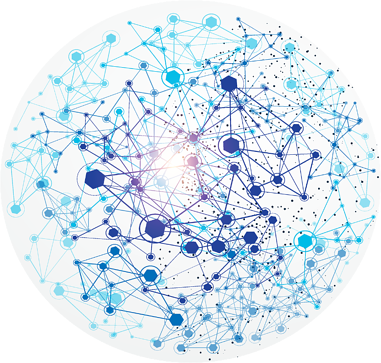 It includes how the organization is organized structurally, spans of control, who reports to who, and how things are organized on functional or process lines. It includes technology and where technology can support needed breakthroughs. It includes all your business systems. This is the area that leaders generally attend to the most. Consequently, they have the most skill here. The problem is it does not work in transformation to focus on organizational design or operational excellence in isolation from the other three areas. All four areas, or quadrants, reflect and reinforce each other. For example, the way organizations are organized - their structure and business processes – reflect and reinforce the culture. Organizational structure and culture lends itself to certain mindsets and behaviors – in both leaders and the workforce. If you try to change dynamics in only one quadrant without simultaneously addressing the others, the other quadrants exert a “gravitational pull” and keep change from occurring. Separating them and trying to transform in a piecemeal way is a major reason why transformation fails. You must transform all aspects together, as one unified process. The key is to not separate these four areas, but rather to see how they fit together, and to identify where breakthrough is required in each area. Then, build a transformational strategy and process that moves the dial on them all as an integrated set of activities.